The visit of the Tour de France to Cambridge in July will be marked by an inspiring new cycle of songs.The cycle will be performed by local people, musicians and choirs, inspired by iconic locations along the route of the race, using cutting-edge technology and new compositions - but drawing on the city's rich choral traditions and history. The city council have commissioned the award-winning Pilot Theatre and Historyworks to produce the innovative work, which will coincide with Stage 3 of the Tour de France which starts in Cambridge on Monday 7 July.The project is being funded by a grant from Arts Council England.The songs will be developed with local choirs, schools, artists and members of the community in Cambridge, supported by some of the city's leading composers and musicians. The works will tell untold hidden stories from the city's history, and will be performed by different groups as part of the celebrations for Stage 3 on the 7 July, and in the lead-up to the event as part of the Big Weekend on Parker's Piece.An app will also be developed that will enable people to hear the works and the stories that inspire them along the route, providing a lasting digital legacy for the city. Councillor Sarah Brown, Cambridge City Council's Executive Councillor for Community Wellbeing said: "I've seen the proposals being developed and they're hugely exciting. They'll keep crowds entertained along the route while people wait to see their favourite riders go past and create a legacy by which people will be able to remember the day and explore the route in future." Cllr Noel Kavanagh, Cambridgeshire County Council's cycling champion said: "This is an extremely exciting concept and one which I am sure will capture the imagination of our residents. The visit of Le Tour de France will be a day to remember for us all in July and I think we can all feel the excitement building throughout the city and county." Marcus Romer, Artistic Director of Pilot Theatre said: "Pilot Theatre are delighted to be making our first major project in Cambridge and are really looking forward to collaborating with the artists and community within the city to create a beautiful and inspiring cycle of songs as part of the Tour de France celebrations." For Pilot Theatre it is a real opportunity to be able to work here and to bring our skills and experience to create an inspiring piece of work for the City. As a national company, we have worked all over the world and we are honoured to be invited to create a new installation for this unique occasion in this wonderful location. I am looking forward to meeting and working with a whole range of new people here to make a really exciting and landmark project that can be shared and enjoyed by all." Helen Weinstein, Co-Director of Cambridge-based Historyworks said: "Historyworks is thrilled to be working with artists and communities to produce an Art work for the Cambridge leg of the Tour De France. We will be making quality audio products that celebrate the history and identity of the city through words and songs, producing a new aural landscape out of found sounds woven with poetic narratives. It is very exciting that we will co-creating an audio soundscape of the music and story-telling surrounding the route through the city which will be an important digital legacy". Hedley Swain, Area Director, South East, Arts Council England, said: "This will be a wonderful opportunity for the people of Cambridge and visitors to really feel part of the Tour de France as its route passes through Cambridge. It will reflect the city's rich arts and cultural heritage and outstanding reputation for new technology by enabling audiences to access the nine choral performances - and the stories behind them - through a new app - ensuring the legacy of this special occasion remains accessible to everyone, both now and in the future. We are delighted to be playing an instrumental role in making this impressive activity possible." Pilot Theatre is a multi-platform theatre organisation delivering critically acclaimed work regionally, nationally and internationally. Pilot aim to inspire creativity and new ways of thinking and are strategic innovators in the field of digital networks and leaders in the delivery and distribution of work for, by and with young people. Last year the company received much praise for their co-production with Slung Low and York Theatre Royal of the highly acclaimed Blood + Chocolate. Historyworks has recently moved back to Cambridge and is well known nationally for delivering authentic and closely researched stories and audio dramas that are based on meticulous delving into the archives. 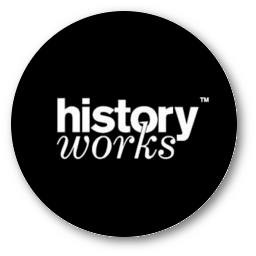 The team at Historyworks therefore has a wealth of experience in creating unique and ambitious sound projects, and delivering highly polished and professional products. Historyworks produce wonderful poems and dramas for community art installations and broadcasts for BBC Radio. Therefore, for Cambridge & the Tour De France, the opportunity to have Historyworks coming together with Pilot to co-produce a new song cycle for Cambridge is a very exciting prospect. Are you interested in taking part and helping with the project? Maybe you run a choir, or are a singer or musician or poet. Maybe you are a teacher, or an archivist, museum curator, historian or student who wants to help us. We are looking for people to join us and work with us on this exciting new project. 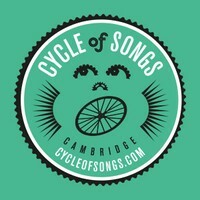 Blog Post from Heritage at Great St Mary's: Cambridge Sings For Cycle of Songs!